In the coming weeks, you’ll find out who I think will be taking home the golden statues on February 27. But I would like to do something more important right now. Here now is who would be taking home all the Oscars if I could cast a ballot. To some, “Black Swan” may seem like the most atypical Best Picture nomination out there. Yet, few other movies could fit the category so perfectly. After all, its story of being obsessed and enveloped into the process of making art mirrors the entire filmmaking process itself. The reason I really want “Black Swan” to win is that even three months after viewing it, I still have no idea what it is. And that makes it all the better. It’s exhilarating, weird, and sometimes even hard to watch and despite all that, it will never leave my head. It reminded me of watching something like “A Clockwork Orange” and “The Deer Hunter” for the first time: like those films, certain images from “Black Swan” will forever be engraved into my memory. It might be rare for us to ever see a movie about psychological deterioration this real, and this good, ever again. Because shouldn’t the Best Picture also have the best director? “Black Swan” represents a crossroads in Aronofsky’s career. It is a mixture of the distorted reality of “Pi” and “Requiem for a Dream” and the hyper-realism of “The Wrestler.” All of this perfectly formed a view of reality through a damaged psychological mind. Aronofsky is truly a genius at using the camera to put the audience into a certain state of mind and never lets them leave it, even after the end credits have rolled. He succeeds not only at creating a new world and a set of emotions, but letting the viewer live in them and be haunted by them. He may not win the Oscar this year, but if he continues to make movies as good as “Black Swan,” the trophy will one day soon be his. a performance that involves them being stuck in a canyon, by themself, for 90 minutes? “127 Hours” was a one man show in the truest sense and if Franco had messed up this performance, this movie would never have worked. 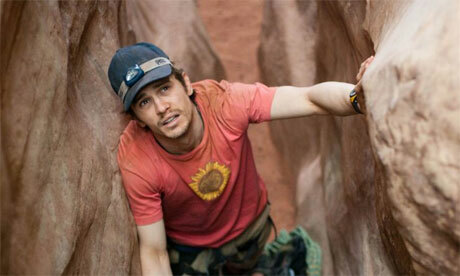 He didn’t and alas, “127 Hours” was more than just a great movie: it was a transformative, gut-wrenching experience. Mr. Franco, between earning all those PhDs please, don’t stop acting. no one ever thought they could pull off, and then pull it off. That emotional girl from “Garden State” has transformed into a disturbed young woman, trying to break free from the chains holding her down. With this role, Portman proved herself an actress who will do literally anything to achieve perfection. Yes, that even includes brutalizing her own body. In the end, her eventual transformation and descent into madness doesn’t feel forced or over-the-top; it just feels so sad and real. Aronofsky made “Black Swan” a visual marvel, and Portman became the big, twisted heart in its center. Because who the hell else would I choose? Bale didn’t just steal every scene he was in in “The Fighter,” he makes every other character in the movie totally insignificant. 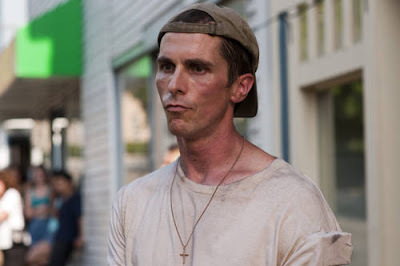 Bale’s method acting is comparable to De Niro in his prime. Bale is so good that he is constantly trying to find new ways to act; as he acts with every inch of his body. Even when he isn’t front and center of ac certain scene, he still manages to steal it. For a character who suffers from a serious crack addiction, Bale brings an unexpected quality to the film, something missing from most films of this subject matter: joy. I could probably use this entire blog space to talk about Bale’s performance, but some things are better off left unsaid. You’d have to be a pretty talented fourteen-year-old to hold your own against the likes of Jeff Bridges and Matt Damon, but Hailee Steinfeld managed to do it. Rather than being some annoying teenage girl, she was instead poised and wise, outshining all of her superiors. In just one role, she has proved herself mature enough to do anything, even firing a rifle. In a world where teen idols include Justin Bieber and Miley Cyrus, Steinfeld is a nice breath of fresh air. I desperately want to say that my choice is “Inception.” However, that would likely be just because I wish Christopher Nolan was nominated for Best Director. Also, “Black Swan” was criminally snubbed in this category. So instead, I’m going with that comedy I can’t get enough of: “The Kids Are All Right.” Lisa Cholodenko and Stuart Blumberg’s screenplay found a sense of humor deriving from character, rather than gags and forgettable one-liners. The whole thing has a quality of honesty that is missing from most movies made nowadays. Most importantly, it handled its subject matter with such truth and delicacy. No message was being shoved down our throats, this was simply a movie about a lesbian couple, and a dysfunctional family. In order to make something acceptable, it is best to show how similar, rather than how different, it is from our regular lives. It takes a lot to be compared to “Citizen Kane” without sounding hyperbolic. a film about a bunch of court cases, it has a quality of fast-paced humor and entertainment missing from most films based on true stories nowadays. Despite the fact that a lot of this story may be fictionalized, it still managed to capture a moment. That moment is the moment when the internet suddenly became the new driving force of our lives. And then in the end, it made Mark Zuckerberg both a raging anti-hero and a tragic figure, someone to admire and even pity at the same time. Aaron Sorkin, you are the glue that held this fine piece of filmmaking together. This entry was posted in Black Swan, Christian Bale, James Franco, Oscars, The Social Network, Who Should Win on February 12, 2011 by ian0592.